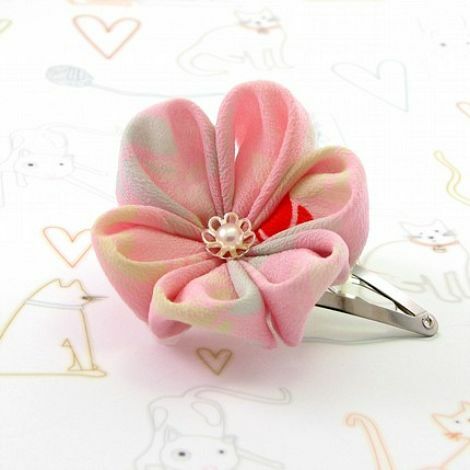 i need to look at these pretty silk hairpins and accessories from florida’s gochemoche. 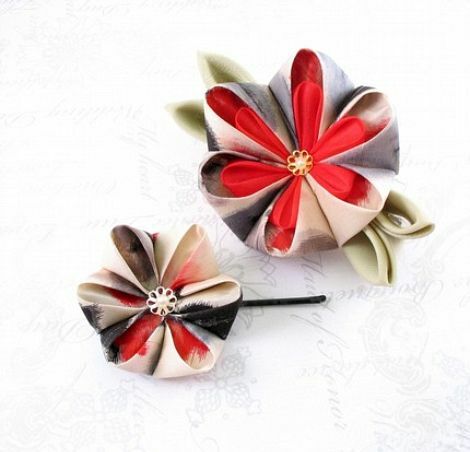 she is a self-described japanese culture-obsessed turkish lady who crafts these little flowers using traditional japanese methods. some pieces are made from material which is dyed by hand, and others are made from repurposed vintage silk kimonos. these traditional and elaborate hair ornaments were worn by apprentice geisha or maiko, which would instantly indicate their status to those in the know. more experienced geisha did not wear as elaborate an accessory. i love these colors on a grim winter day. see everything else that’s available from gochemoche right here. love the delicate feeling of these gorgeous hair doodles… wish i had the tresses to do them justice. such beautiful work! aren’t they just gorgeous? it’s the perfect thing to look at on a grey day. 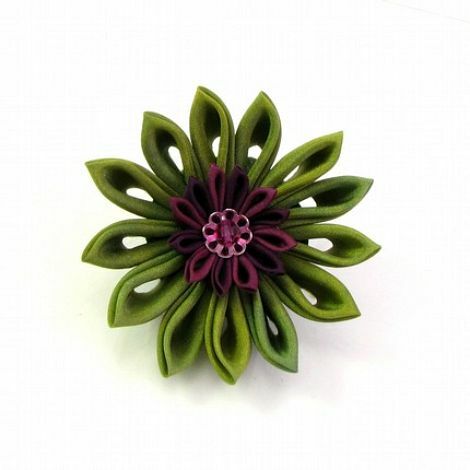 Love that big green one with the purple centre! i love that one too – i love all the folds and the points she makes on the mums! These are so spectacular! I love the history and context of the symbolism. That big green one with the purple center is gorgeous. I can just imagine how exquisite these would look with hair pulled up, and creamy bare skin peeking out of a beautiful silk kimono. you are such a poet. what a beautiful image you just described! 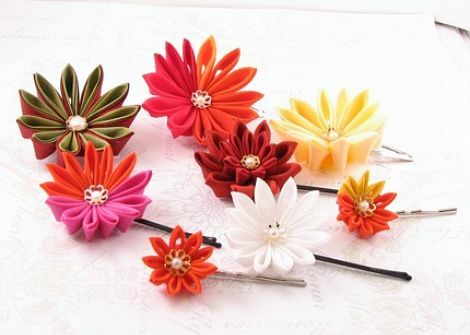 How do you make the flowers with the hole in the middle of the petals, like on picture 2 from the top? 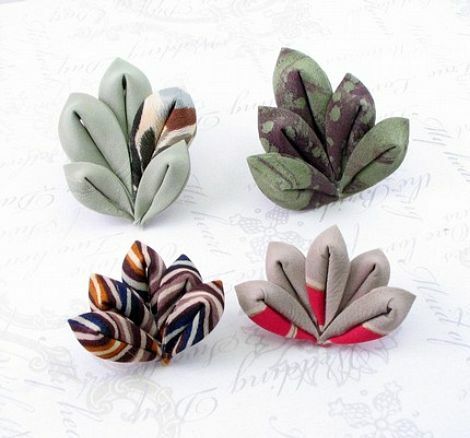 I would really like to know because I just started making the flowers.